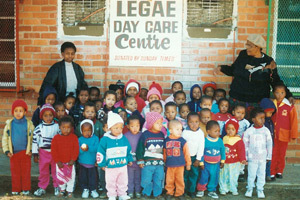 The Chicago Branch of NCAW was inducted into the National Council of African Women in South Africa in 1993. It embraces the goals and objectives of the parent body while retaining its own freedom to address local issues of concern. Presently, the Chicago area has four branches: NCAW, Chicago; NCAW, Habari; NCAW, Illinois, and NCAW, North Chicago. The NCAW, North Chicago Branch was organized October 8, 2005. 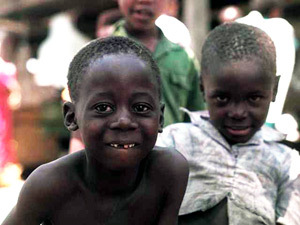 The primary objectives of the North Chicago Branch are to address the needs of the sick, indigent, and needy of developing countries-particularly Africa, with a focus on HIV/Aids orphans in South Africa and other African countries. Providing food, clothing, medical, financial support, and other needed supplies. Building a coalition of supporters to fund construction of water purification and sewer treatment plants. WE ARE A BRANCH OF THE NATIONAL COUNCIL OF AFRICAN WOMEN IN SOUTH AFRICA. WE ARE AN ORGANIZATION OF WOMEN MISSIONARIES COMMITTED TO SERVING THE SICK, INDIGENT, AND NEEDY OF DEVELOPING COUNTRIES, PARTICULARLY AFRICA. WE WILL AID OUR CLIENTS WITH MANPOWER, SERVICE, FINANCIAL, AND/OR PRODUCT NEEDS. TO BE RECOGNIZED AS MISSIONARIES AVAILABLE TO SERVE BOTH NATIONALLY AND INTERNATIONALLY. TO BE RECOGNIZED AS MISSIONARIES. . .
TO BE EFFECTIVE LEADER AND PARTNER IN SERVICE EFFORTS BY BEING GENEROUS WITH OUR TIME, TALENT, AND RESOURCES. TO USE KNOWLEDGE, SKILL, AND EXPERTISE IN THE ACQUISITION OF MANPOWER, FINANCIAL, AND PRODUCT RESOURCES FOR OUR CLIENTS. TO STRIVE TO FACILITATE THE SELF-SUFFICIENCY AND SELF-SUSTAINABILITY OF OUR CLIENTS. TO BE COGNIZANT AND RESPECTFUL OF THE CULTURE OF OUR CLIENTS. INITIATIVE: RESPONSIBLE AND ENTERPRISING, SEEING THE JOB, DOING THE JOB! There is a great need for some form of electrical power. Also needed are chairs, beds, portable files, a small bull-horn or portable PA system, toys and books for the children. Project Goal – To build a coalition of partners to support this project.